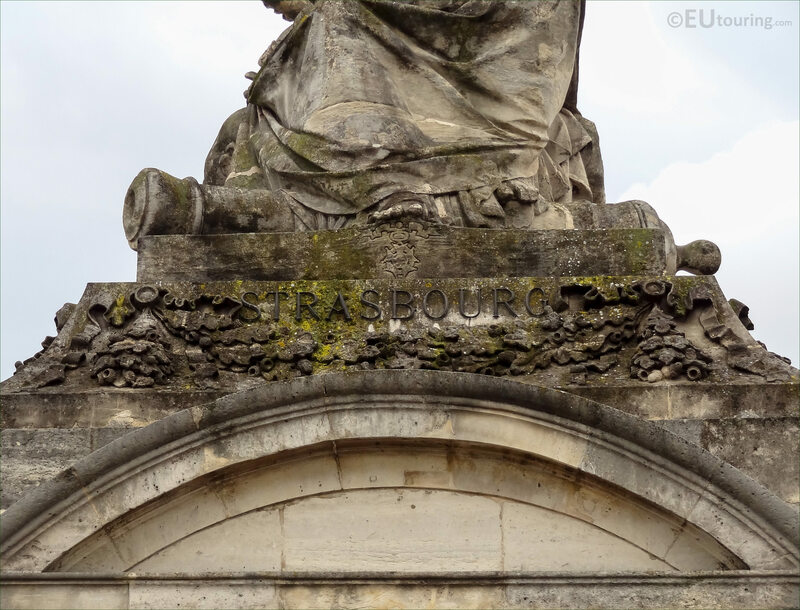 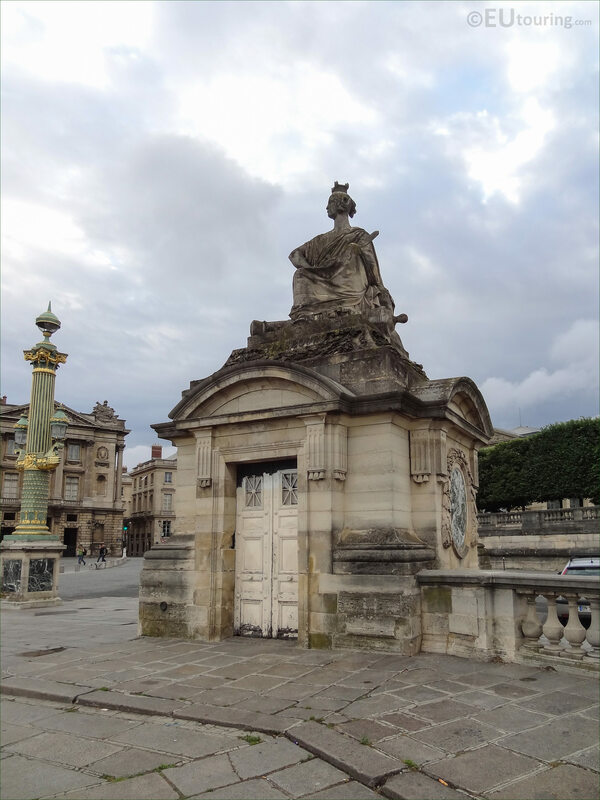 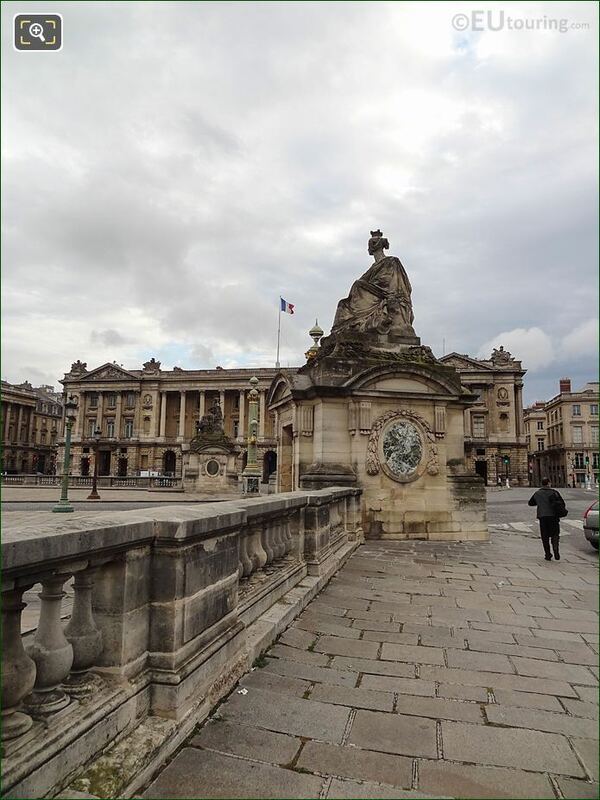 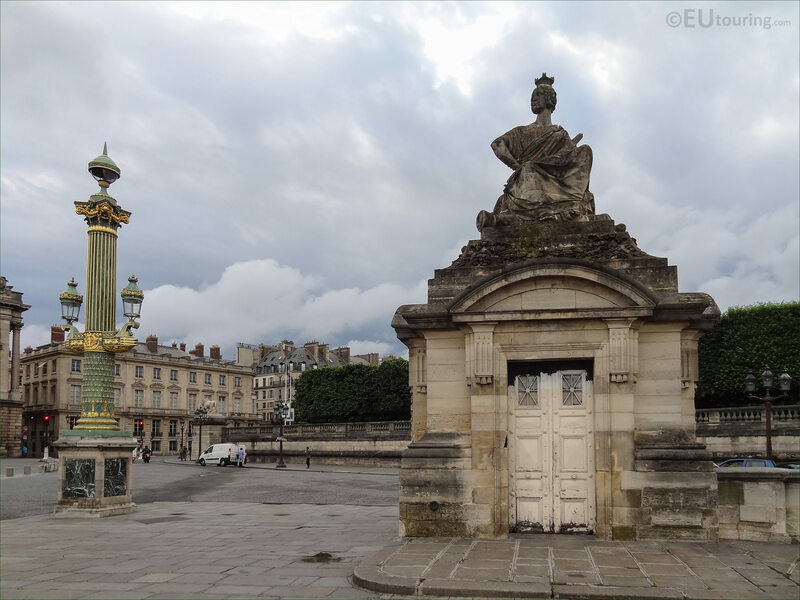 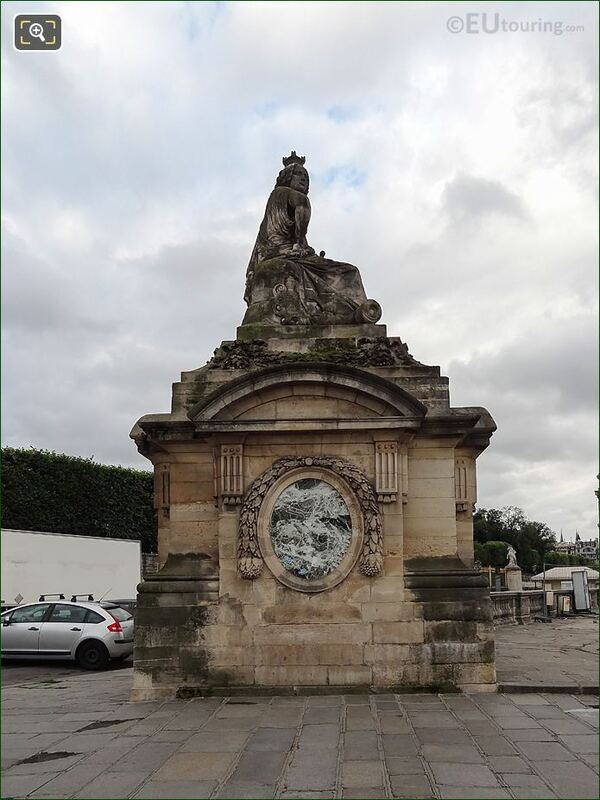 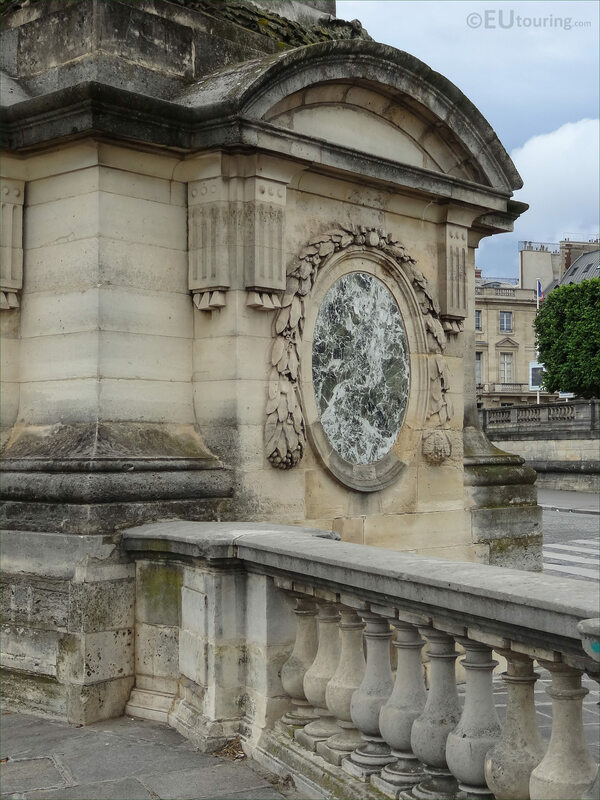 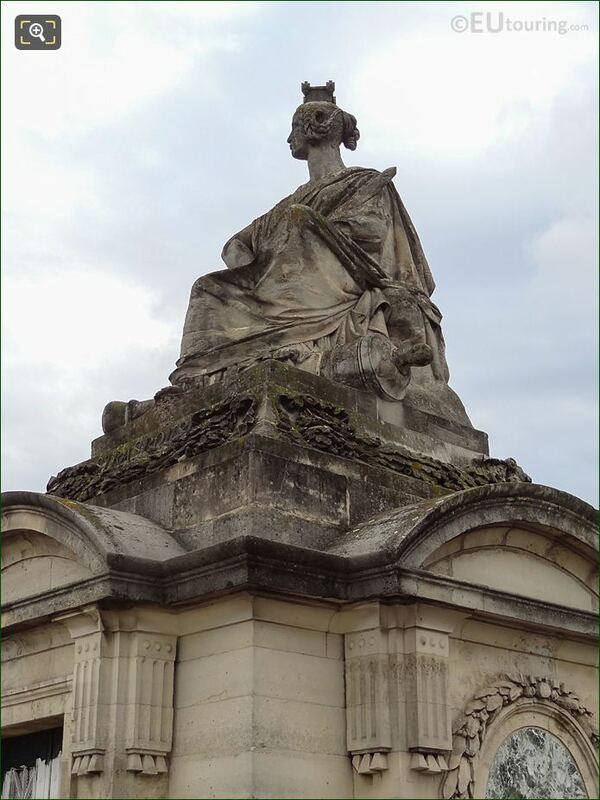 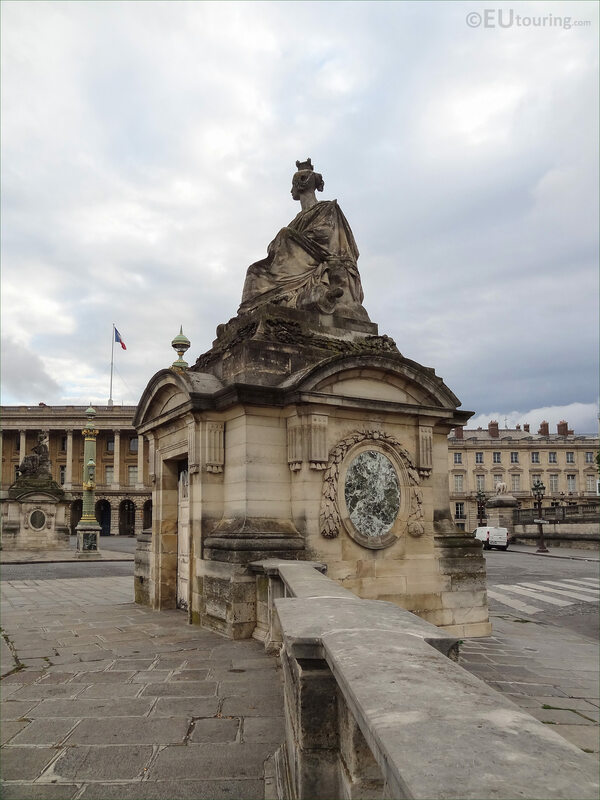 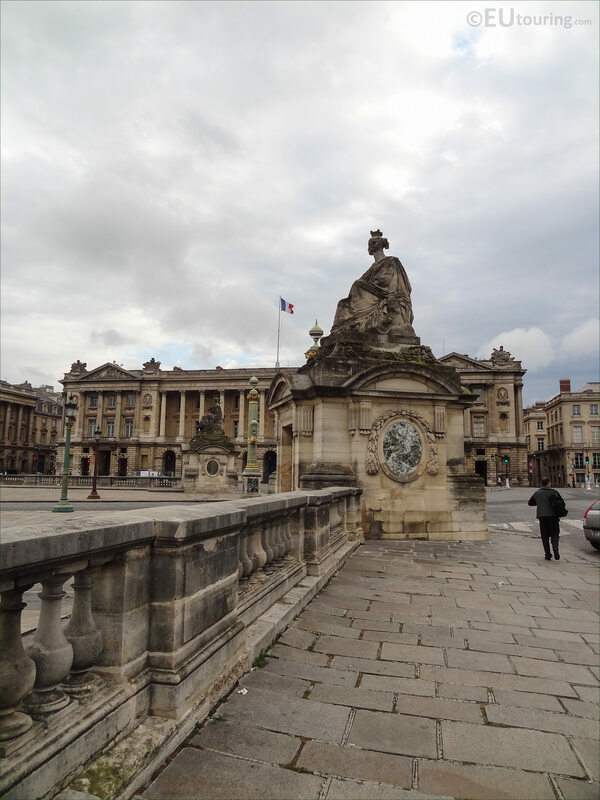 We were in the 8th Arrondissement at the Place de la Concorde, when we took these high definition photos showing a statue called Strasbourg, which was sculpted by Jean-Jacques Pradier, also known as James Pradier. 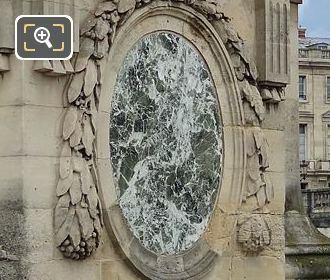 This first HD photo shows a large stone statue positioned on a small pavilion within the Place de la Concorde, which is one of eight designed to depict different cities in France, with this one depicting the City of Strasbourg. 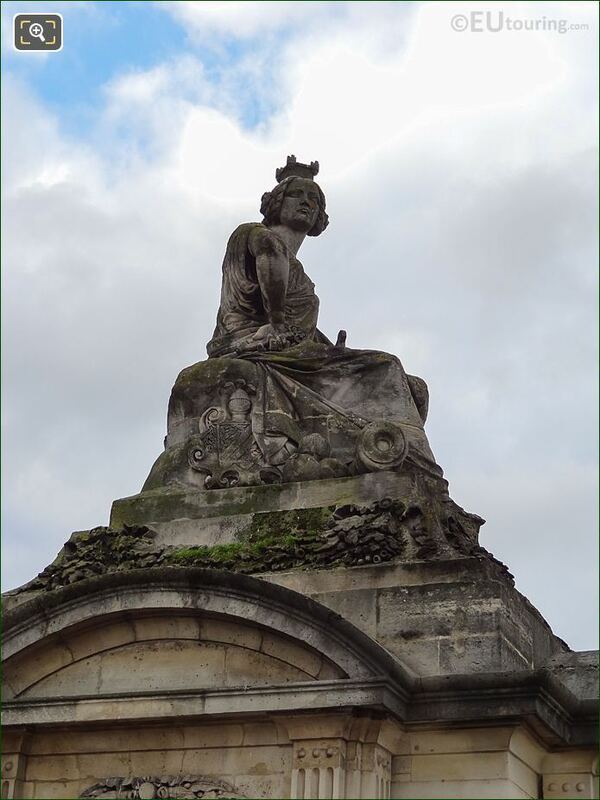 The statues were all designed by Jacques Ignace Hittorff, who was a German born French architect born in 1792 and went to Paris where he studied at the Academie des Beaux Arts ans as a draughtsman, eventually becoming an inspector on construction sites, then the official government architect, and it was in 1833 during the reign of King Louis Philippe I that he was entrusted with the redesign for the Place de la Concorde. 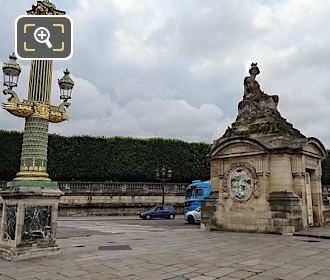 However, we are actually getting ahead of ourselves here, as originally this square in Paris was designed in an octagon shape by Ange-Jacques Gabriel who was born in 1698 to a family of architects and initially trained with the royal architect Robert de Cotte, going on to become the premier architect in France working at the Chateau de Versailles, where he constructed the Petit Trianon. It was between the years 1754 and 1763 that the square was laid out by Ange-Jacques Gabriel along with two identical impressive buildings, with one of these now being the Hotel de Crillon, and at the time it was named the Place Louis XV after the reigning king at the time, with his designs also having two fountains incorporated, although due to lack of water, this never materialised. 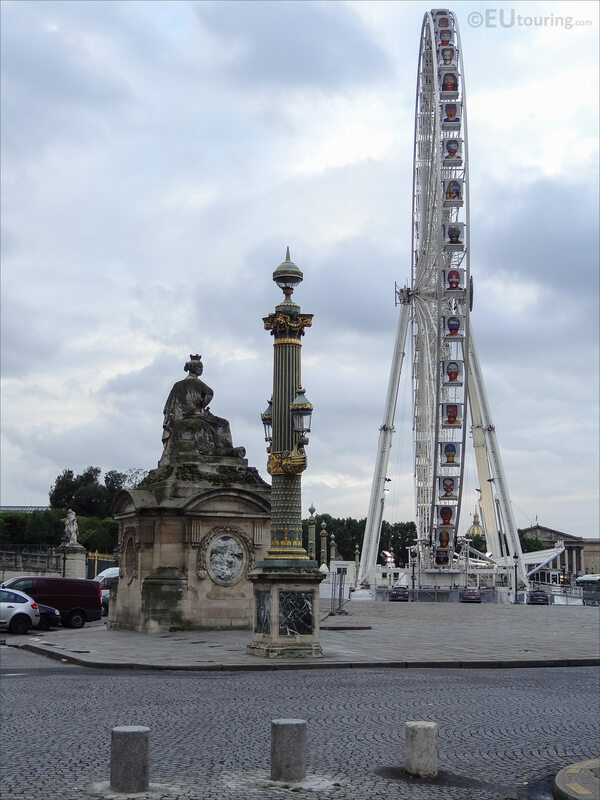 Over the years the square changed its name several times and was the scene of many festivities along with more horrific events including the guillotine that saw the beheading of Marie Antoinette, so it was after this turmoil that the name became the Place de la Concorde, with its redesign including the statues representing the wealth and arms of different cities in France such as the canon you can see at the base of this Strasbourg statue. 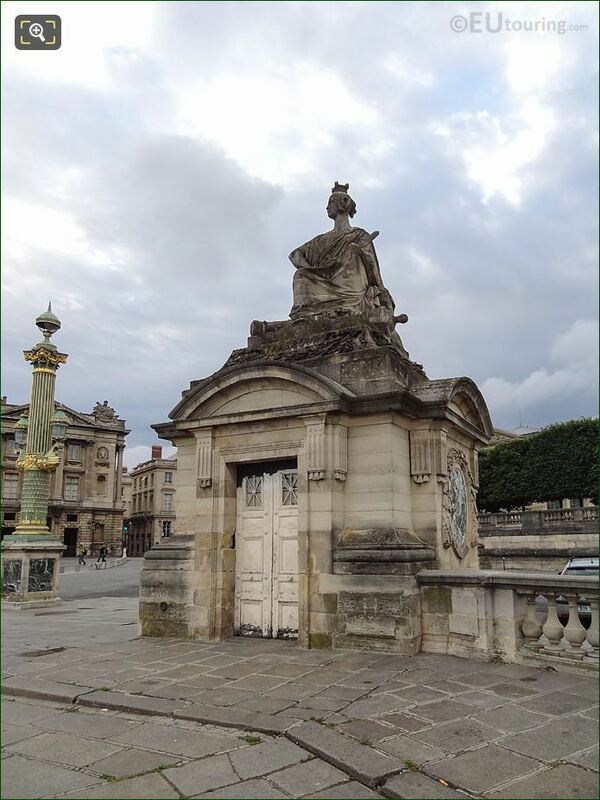 We mentioned earlier that the statues designed by Jacques Ignace Hittorff were positioned on the top of small pavilions, which are also known as guardhouses, and in French they are called a Guerite de Gabriel, that translates in English to Guardhouse of Gabriel, and these were named this in recognition of the original architect Ange-jacques Gabriel who designed the original square. 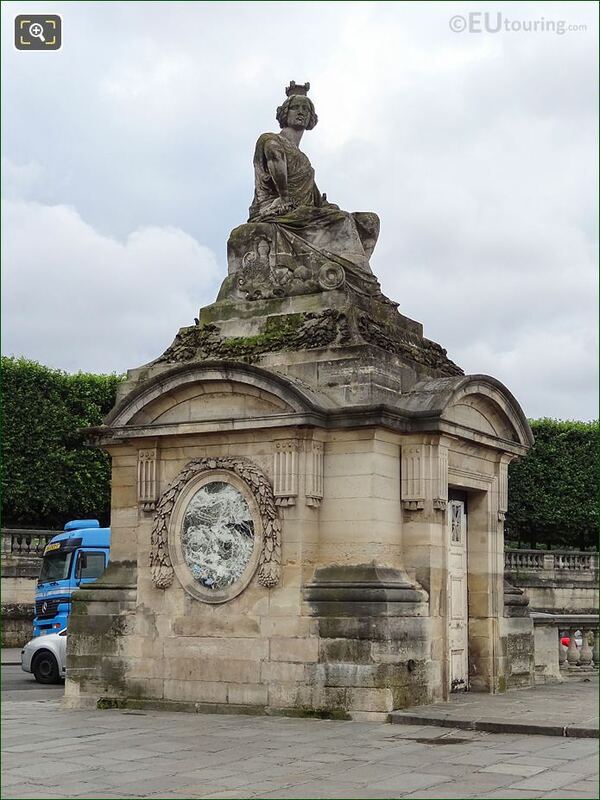 Also, Jacques Ignace Gabriel designed the statues with different attributes, and one of these on all eight statues is that of a crown in the form of a castle, which the four different sculptors commissioned to produced these had to adhere to, with this one depicting the City of Strasbourg being produced by James Pradier. 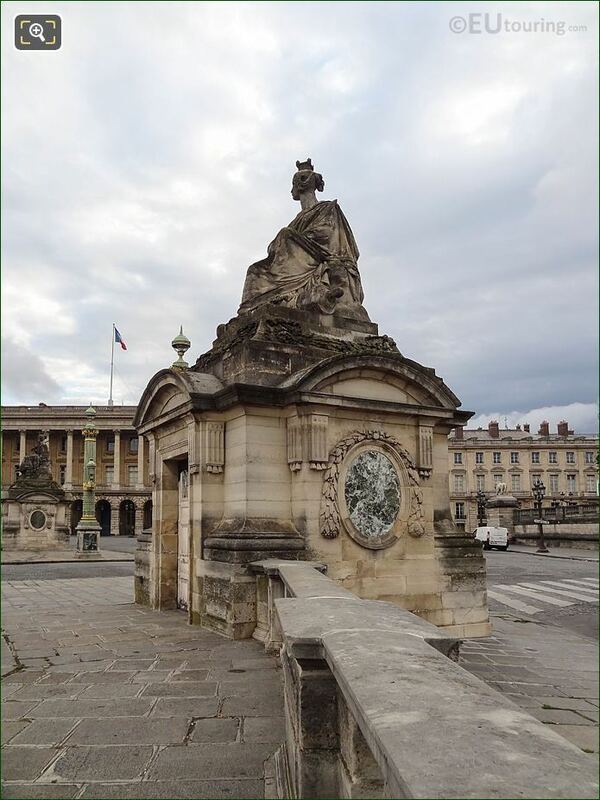 There were only four sculptors who were commissioned to produce two statues each representing the cities of France that would be placed on each of the eight corners facing into the centre of the Place de la Concorde, and in this photograph you can see the City of Strasbourg statue, along with the City of Lille statue that were both sculpted by Jean-Jacques Pradier, also known as James Pradier. 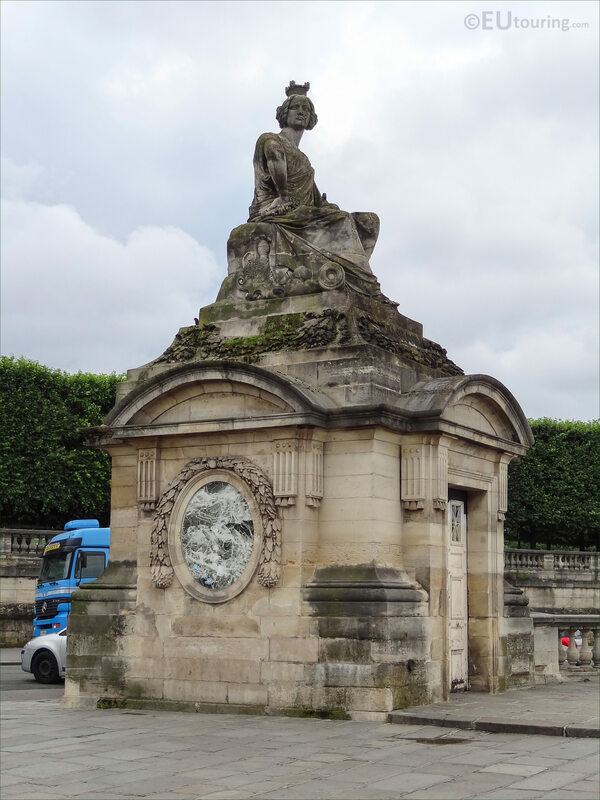 In addition to this, Jacques Ignace Hittorff placed the pavilion guardhouses with their statues at strategic positions around the Place de la Concorde, so that they would correspond to their geographical location within France, and therefore the City of Strasbourg statue is located on the eastern side of the square close to the Jardin des Tuileries and the Musee Jeu de Paume. 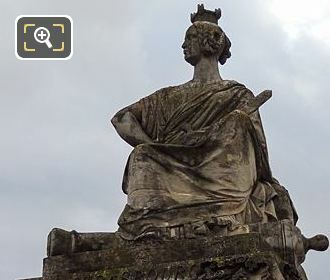 So as we mentioned, this Strasbourg statue was produced by Jean-Jacques Pradier, also known as James Pradier, who was born in Geneva in 1790 although his family was from Toulouse, yet he went to Paris where he studied at the Ecole des Beaux Arts, becoming a sculptor and winning the Prix de Rome, meaning he could further his studies at the Villa Medici in Italy. 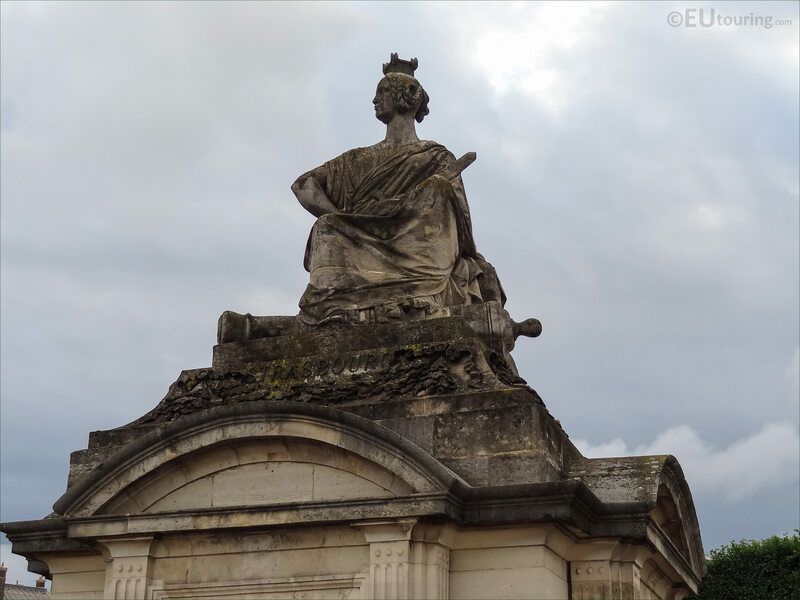 Working in a neoclassical style, James Pradier became recognised as a very competent artist, receiving numerous public commissions for statues, sculptures and monuments including this monumental statue of a female figure sitting on a rock as an allegory depicting Strasbourg. 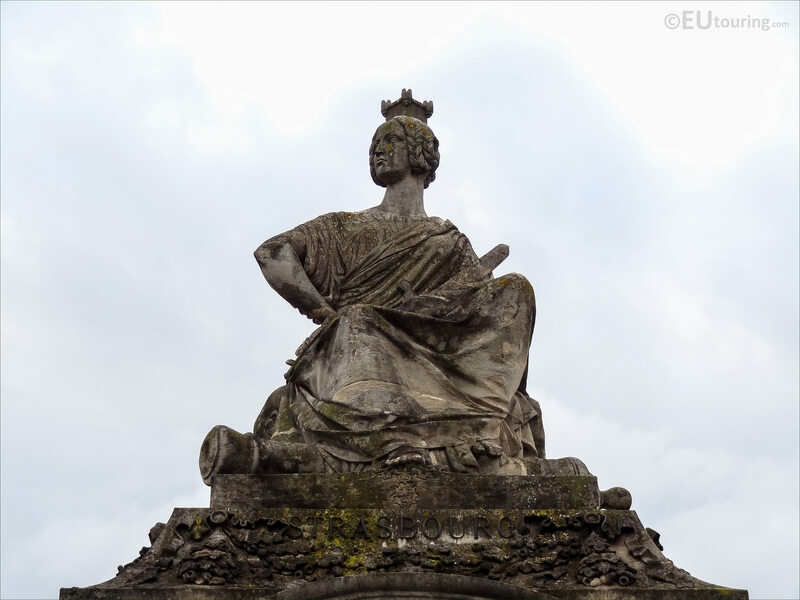 Designed as though in haughty defiance, this Strasbourg statue was designed with the female figure having her right hand on her hip and a sword going across her positioned within the crook of her left arm, which was sculpted by James Pradier between the years of 1836 and 1838. 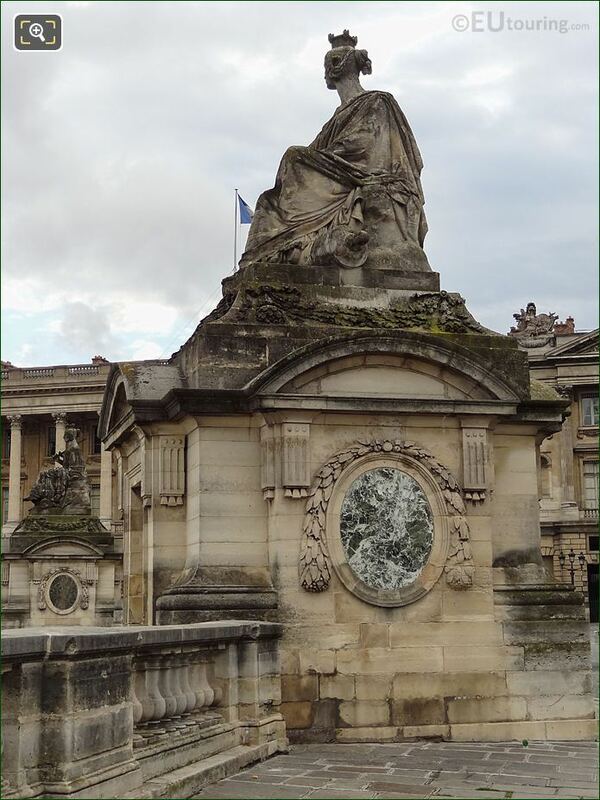 Yet Jean-Jacques Pradier, also sculpted the City of Lille statue for the Place de la Concorde, which you can just see in this photograph that also depicts a female figure sitting on a rock and holding a sword, but there are numerous other works of his that can be found at tourist attractions all round Paris such as the Palais du Luxembourg, the Tomb of Napoleon at Les Invalides, churches like the Eglise Saint-Roch, etc. 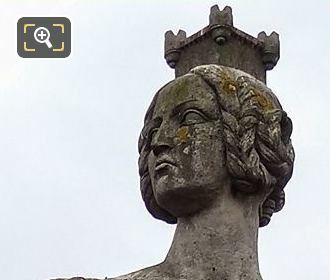 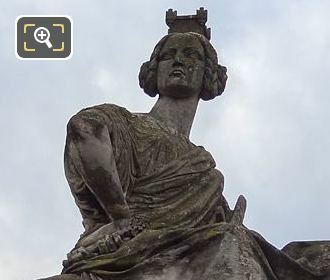 Now this close up photograph shows the name Strasbourg on the top of the Guerite de Gabriel at the base of the statue where you can see the female figure resting her feet on a canon, but Alsace, was a region of France that was lost during the Franco-Prussian war, and not regained until after World War I. 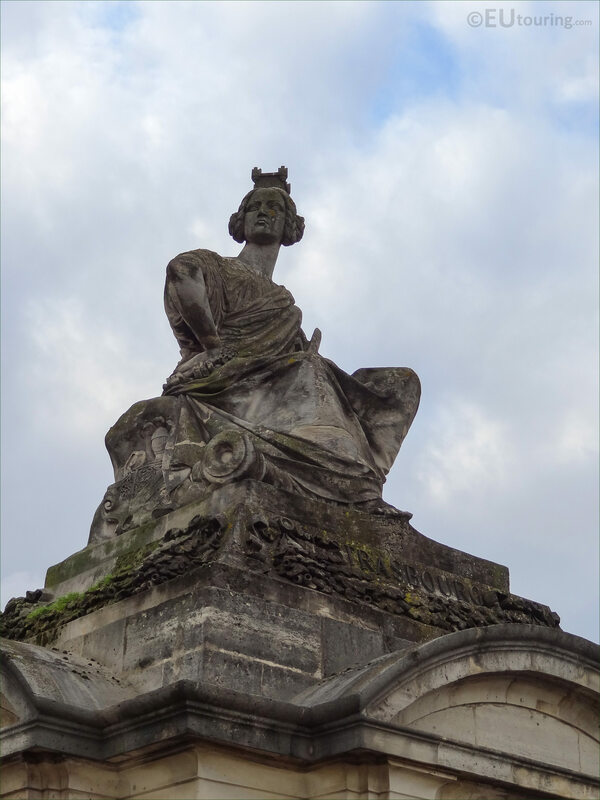 And so, from the 1870s through to 1918 the statue depicting the City of Strasbourg was draped in black cloth during specific dates, and wreaths were often laid at the base of the Gabriel Guardhouse below, which did not come to an end until the Alsace region was once again part of France, rather than being part of Germany. 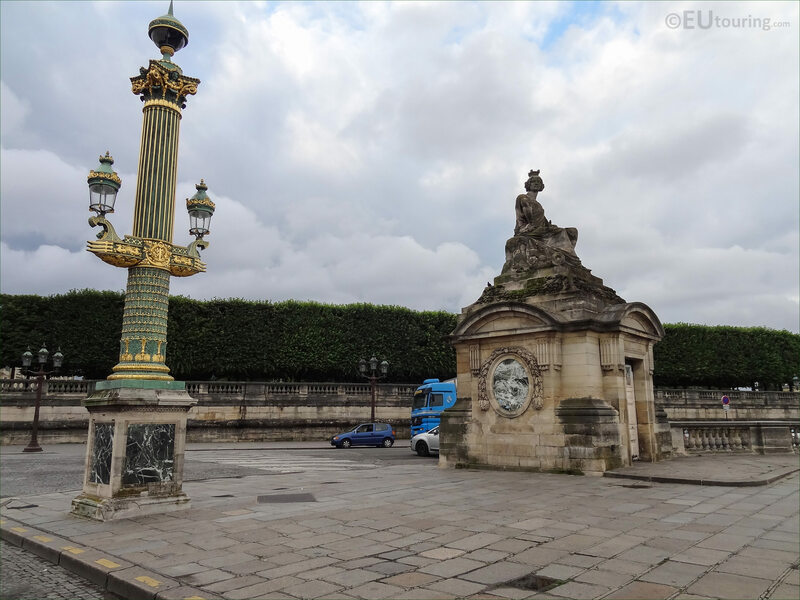 However, this high definition photo also shows one of the ornate lamp posts along with the City of Strasbourg statue, which were also designed by Jacques Ignace Hittorff during the redesign of the Place de la Concorde, when he also designed the two fountains, which by this time were able to be constructed due to having a sufficient water supply. 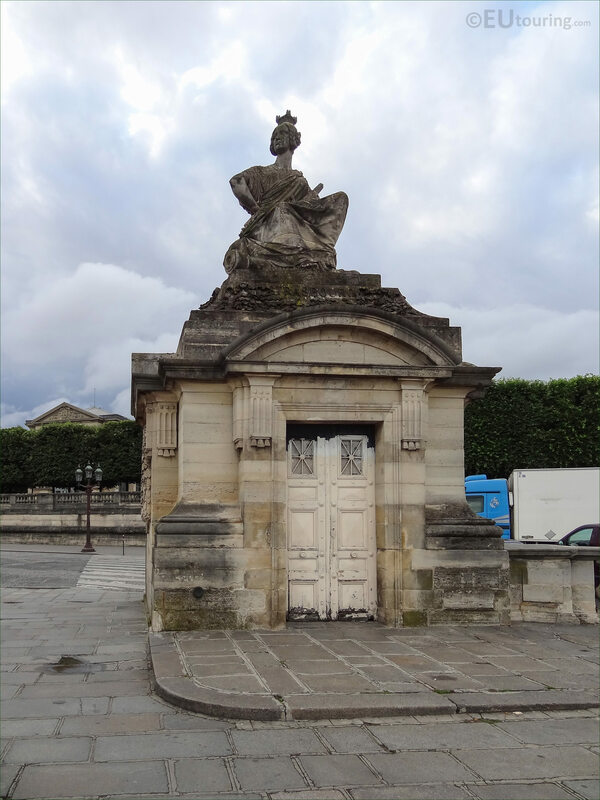 And here is another angle showing the statue by Jean-Jacques Pradier on the Guardhouse pavilion that we took from within the Place de la Concorde looking towards the outer perimeter of the largest square in Paris, which is located in the 8th Arrondissement between the Avenue des Champs Elysees on one side and the Tuileries Gardens on the other.